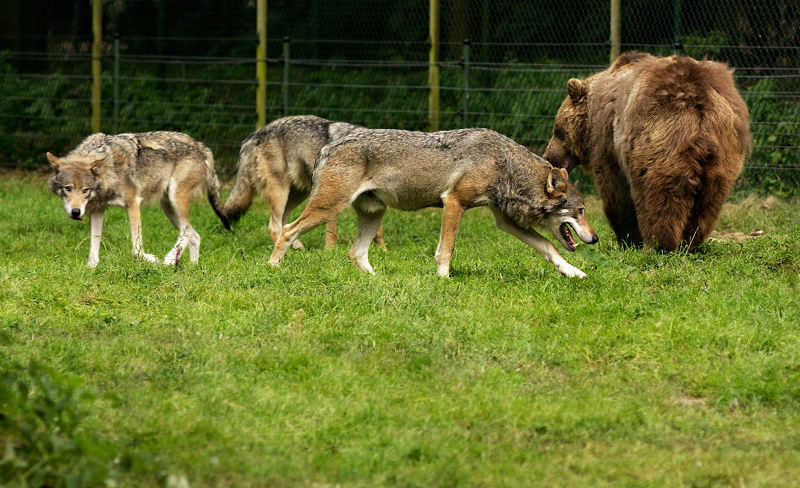 Bears and wolves share their natural habitat in the wild. This is no different in the Bear Forest, where the bears and wolves are also stimulating each other’s natural behaviour. This can be done in a captive situation because of the size of the Bear Forest. There have never been any problems between the two species in the Bear Forest.